St. 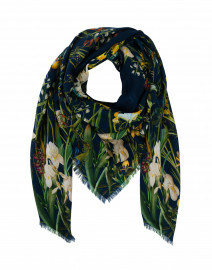 Piece is a London-based print design studio specializing in luxury silk scarves. Their signature intricately detailed, colorful scarves are designed in the London studio before being printed and individually hand-roll hemmed in Cheshire, England. The goal of the label’s two founders is to create a “piece” of art through each and every one of the scarves - beautiful paintings on luxurious canvases of silk and cashmere to be admired and enjoyed.